ORLANDO, Fla. - Subtropical Storm Alberto is moving into the central Gulf of Mexico as rain coverage increases over Florida. What exactly is a subtropical storm? Rain chances are increasing to 50 percent overnight as Alberto continues to pump in excess moisture over Florida. 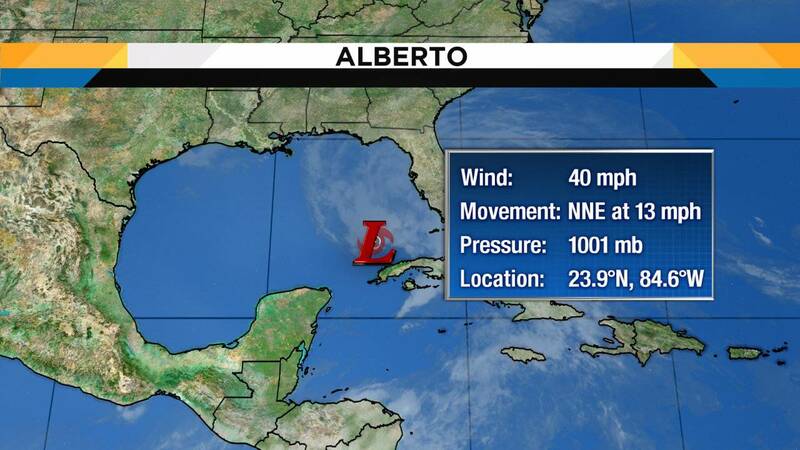 Alberto is expected to stay west of Florida and is expected to grow in size and intensity. As it does, rain chances will increase for the next two to three days. Under cloudy skies and a 50 percent chance of rain, temperatures are expected to stay on the warm side and range from 71 degrees in Orlando to 72 degrees in Ocala and 74 degrees in Palm Bay. A flood watch is in effect for our area until Monday evening. Rainfall amounts over the next three days could range from three to five inches, with a few areas receiving up to eight inches. Sunday has a 80 percent chance of rain with temperatures averaging 82 to 84 degrees. 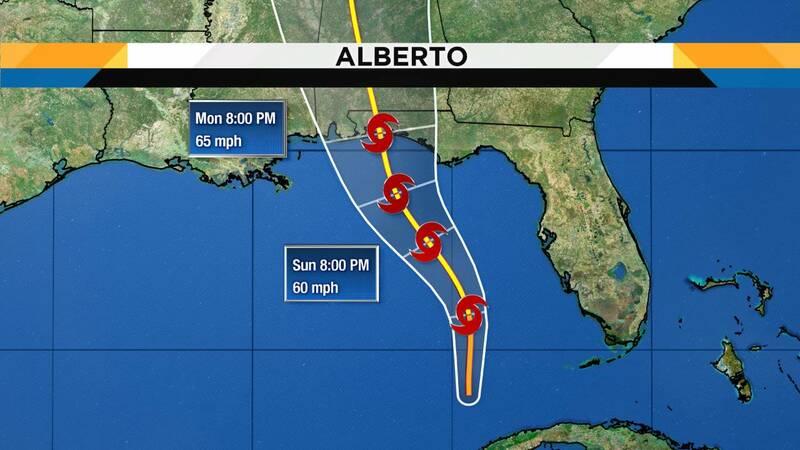 Again, Alberto is expected to directly impact southern Mississippi and Alabama. "This course may change slightly over the next few days as Alberto gets better organized," Treanor said. "Make the most of your holiday weekend."